Five Point warmly welcomes the newest member of our team: Christian Villacres, L.Ac. Christian grew up in Washington D.C. in a lively Latin household and was taught from an early age to value a natural and healthy lifestyle. Following a career in Art and Design, his interest in natural health and longevity lead him to Chinese Martial Arts and Internal Development. Here he discovered a genuine connection to both his physical body and deeper self. After practicing and teaching for nearly a decade he was drawn fully into the study of Chinese Medicine. He graduated from PCOM Chicago in 2016 with his MSTOM. Informed by the richness of both Eastern and Western Science, embracing both Tradition and Modernity, he strives to help his patients achieve and maintain their highest quality of life. Christian’s treatments focus on stress/anxiety, pain management, digestive disorders and overall wellness. Christian is also fluent in Spanish. Christian is available for appointments on Tuesdays from 9am-2pm and Wednesdays from 2pm-8pm. He can be reached at christian@fivepointholistic.com. Five Point Holistic Health will be offering a 5-week Introduction to Mindfulness and Meditation course starting Monday, January 16th from 7-8pm. This course, lead by Kim Vachon LCPC, will introduce basic practices of mindfulness and meditation and examine how to incorporate these practices into your every day life. Basic tenets of mindfulness and meditation include sitting in stillness with your breath, practicing gratitude, bringing your awareness to the present moment and much more. Benefits of these practices range from feeling at peace and content with the state of your life, to improving concentration skills to sleeping more soundly at night. Participation is limited, so we encourage you to reserve a spot online. The series is intended to be taken in full and costs $75 for the five weeks. Please reach out to Kim Vachon at kim@fivepointholistic.com with any further questions. We look forward to your participation. Five Point is participating in the 5th annual Holidays on the Square on Saturday, December 3rd. Support local businesses this holiday season during a day of special events, promotions and activities by Logan Square's small business and not-for-profit organizations. We have appointments available from 9am-3pm, so book a community acupuncture session between shopping destinations. Five Point will be offering gift bags for gift certificate purchases of $90 or more. Keep the gift bag for yourself or give it alongside your gift card. Supplies are limited, so get one while they last! Five Point is excited to introduce our new bodyworker, Kate Fruchey, LMT. Kate completed her massage and bodywork training at McKinnon Body Therapy Center in Oakland, CA. While her practice is rooted in Swedish Massage and Craniosacral therapy, she utilizes a wide range of techniques in her sessions, including Acupressure, Reflexology and Tui Na, in order to best meet her clients’ needs. As a practitioner, Kate has a deep appreciation for the effect that relaxation and touch have on our health and this informs all of her work, regardless of the techniques she is working with. Her goal is to bring awareness to her clients’ profound capacity for change and help them access their own inherent resources for health. Kate is available Sundays from 12-6 and Tuesdays from 9-2. She is available for 60 and 90 minute massages beginning Sunday, December 4th. Book an appointment online, or email her at kate@fivepointholistic.com with questions. Additionally, Yoga is moving to Sunday mornings from 10-11 am beginning September 11th. Some practitioners' hours will be changing, so please contact our clinic if you have any questions. October is a special month for us. We are expanding our hours to offer more appointment slots on Tuesday and Wednesday mornings. Also, October is National Co-op Month, and October 24th is Acupuncture and Oriental Medicine Day. In celebration, we are offering some nifty promotions through October 31st. First-time patients can receive a free service, including community acupuncture, herbal consultation, or 30-min of bodywork. Click on the individual service links to book. And we haven't forgotten about our loyal patients who already support us! Current patients who refer a new person to us can get half-off a community acupuncture appointment or herbal consult, limit one per person. Whomever you refer can put your name in their booking note while booking online or mention your name while calling. This offer only lasts during the month of October, so start spreading the word! We often get inquiries about where our herbs come from. Patients want to know if they’re safe or if they may contain pesticides or heavy metals. They ask if the herbs are ethically sourced or if we use endangered products. Many of our patients take herbs twice a day for weeks, months, or even years, so it’s understandable they’d want to know what they’re consuming. We take the quality and safety of our herbal products seriously and want our sourcing process to be transparent. Five Point predominantly sources our herbs from Sun Ten Laboratories, a pharmaceutical grade herb company based in Taiwan. Taiwan’s Food and Drug Administration (TFDA) is a member of the Pharmaceutical Inspection Co-operation Scheme (PIC/S), “a non-binding, informal co-operative arrangement between Regulatory Authorities in the field of Good Manufacturing Practice (GMP) of medicinal products for human or veterinary use.”  PIC/S is an international organization that standardizes manufacturing practices and inspection procedures among Food and Drug regulating authorities. PIC/S membership guarantees that medicinals produced in another country, such as Taiwan, go through the same scrutinized testing that they would if produced in the United States. China is not a PIC/S member, so while herbal products made in China are available for purchase in the US, the safety of many of those products cannot be guaranteed. Sun Ten follows current Good Manufacturing Practices (cGMP), which are regulations on manufacturing processes enforced by the FDA. Adherence to the CGMP regulations “assures the identity, strength, quality, and purity of drug products by requiring that manufacturers of medications adequately control manufacturing operations. This includes establishing strong quality management systems, obtaining appropriate quality raw materials, establishing robust operating procedures, detecting and investigating product quality deviations, and maintaining reliable testing laboratories. This formal system of controls at a pharmaceutical company, if adequately put into practice, helps to prevent instances of contamination, mix-ups, deviations, failures, and errors.” Sun Ten follows manufacturing practices that allow them to guarantee the following standards. Sun Ten works closely with private growers and suppliers who meet strict standards. They avoid buying herbs on the public market in order to avoid inferior quality, adulterants, or improper additives. All raw herbs are tested for species authentication and the detection of sulfur dioxide, pesticide, heavy metal and other harmful substances. Each batch of herbs is awarded a certificate of analysis and lot number, so it can be traced. Sun Ten’s medicinals are pharmaceutical grade, meaning there is no cross-contamination and they are safe for people with allergies. Raw herbs are decocted by cooking them in water. The decoction is then stabilized into a powder using non-GMO corn starch. The final products are tested for batch-to-batch consistency by constituent verification so that all batches of herbs have similar potency. Since the Chinese Materia Medica contains thousands of medicinal substances, not all herb companies carry them all. We choose certain herbs from different companies based on availability and a preference of taste, texture and desired potency. The other herb companies from which we order, including QualiHerb and Legendary Herbs, follow similar standards in sourcing, quality control and manufacturing. The growing of medicinal-grade Chinese herbs in the US is on the rise, though still in small amounts. These products are not available in the convenient granular form that we sell, only raw. Some raw herb companies such as Chicago’s Inner Ecology source as many of their herbs from local farmers as they can. Some herbs come from as close as Wisconsin, while others from the East or West Coast. Still, most herbs are only available from Mainland China and Eastern Asia where the growing climate is just right. Our mission to provide high-quality holistic healthcare includes offering high-quality herbal products. The safety and purity of our herbs are our top priority, and we never dispense endangered plant or animal products. We appreciate your trust and are always open to answering your questions! Our Community Spotlight program puts other progressive local businesses in the spotlight, highlights what makes them extraordinary and commends them for their contribution to our community. We recently have had the privilege to partner and work with an amazing local organization and we felt compelled to share their story with our community. Thank You Shine: A Light on Fertility! We want to simply say thank you to Shine for being such an inspiring resource for support, education, and advocacy for a community in need. Keep being awesome. We look forward to working together for years to come! Learn more about Shine: A Light on Fertility on their website, and like them on Facebook to keep updated with current happenings. Often described as "meditation in motion," Tai Chi is a gentle form of martial arts that increases muscle strength, flexibility, and balance. Evidence shows this low-impact exercise has endless benefits to physical and psychosocial health. Recent studies have linked Tai Chi practice to reduced heart disease, insomnia and chronic pain and improved cognitive function and immunity. The next installment of the Beginner Series taught by Nathan Paulus begins on Monday, July 11th from 5:30-6:30. This 6-week course covers Tai Chi's basic principles, including five loosening exercises, the first section of short form and 4 of the 8 fixed push hand patterns. Once completing the 6-week beginner course, participants can attend the intermediate class on Mondays from 6:30-7:45. We recommend you reserve a spot online since space is limited. The cost of the series is $80. Up to one class may be missed throughout the series, and that one session may be made up during the intermediate class at no charge. This series is run seasonally, so the next round will be in October. Please email us with any questions, or ask your practitioner if Tai Chi may be beneficial for your condition. Anniversary Celebration and Free Day! On May 24th, Five Point turned 2-years-old! We wouldn't be here today without the support of our community including friends, patients and neighbors. In the spirit of tradition and giving back to those who made our business strong, we are offering a day of free services! On Saturday, June 18th from 9 am through 3 pm, we will offer free community acupuncture and 30-minute bodywork sessions. We will accept walk-ins, but we encourage you to book online since spots are limited. Bodywork sessions must be booked over phone or email. In lieu of yoga, Nathan will be offering a free 30-minute guided meditation from 4:30-5 on that day. It's a great time to bring that friend or co-worker who has always wanted to try acupuncture. Bring your dad for a special Father's Day treat. We hope you'll come celebrate with us! On Saturday, June 11th, Kelsey Tangel, an experienced prenatal and fertility yoga instructor, will facilitate a semi-private prenatal yoga class from 5:30-6:30pm at the Five Point clinic. Women of all levels of yoga practice and all stages of pregnancy are welcome to attend. Along with personal instruction, handouts will be provided so students can continue their practice at home. The class costs $15, and a spot can be reserved online. Mats, blocks, and straps will be provided, but bring your own if you prefer. Contact Five Point at info@fivepointholistic.com with any questions. Five Point is thrilled to welcome the newest member of our team Joslynn Adams, L.Ac. Prior to attaining her Masters degree in Acupuncture, Joslynn graduated from Prescott College with a Bachelors of Science degree with an emphasis on Environmental Science and Adventure Education for Youth at Risk. She is currently in the process of obtaining a two-year Diplomate in Canonical Chinese Medicine. East Asian Medicine has allowed Joslynn to combine her passion of people and the environment into a triad of mind, body and emotional health. She focuses her craft on functional medicine and pain management, and she has a particular interest in how emotional health affects the perception of pain in the body. Appointments with Joslynn can be booked on Tuesdays 2-8 and Sundays 12-6. She can be reached at joslynn@fivepointholistic.com. 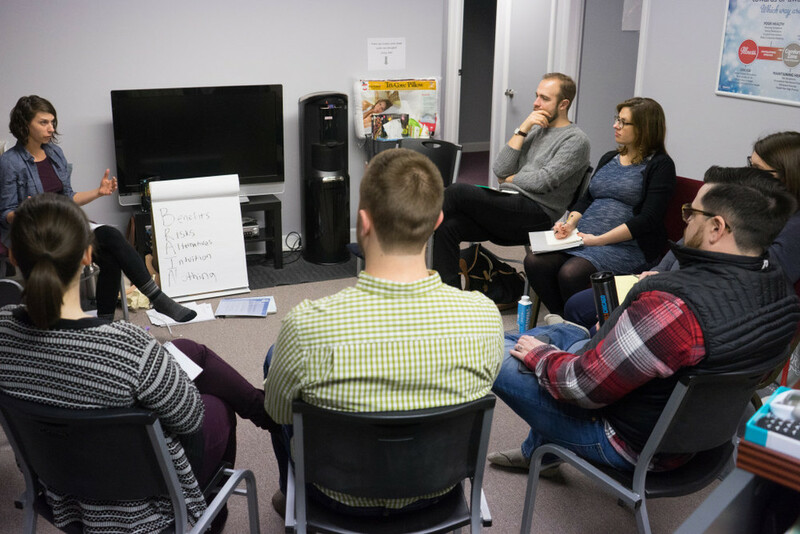 Third Coast Birth, a trusted community partner of Five Point, offers childbirth education, birth doula support, postpartum and parenting support to Chicago area families. Beginning May 14th, they will be offering a six-week guide to childbirth series at our clinic. Together with your birthing partner, learn about the process leading up to and throughout labor and birth, as well as what to expect in the early days with a new baby. Get to know other expectant parents and use this class as a starting point for you to build community as you begin this journey into parenthood. This class will run from May 14th-June 25th, skipping May 28th (Memorial Day weekend) from 7-9pm. The price for the entire series is $300. To sign up visit their event page, or email them at info@thirdcoastbirth.com. Each class is tailored to address physical aspects appearing at different times during pregnancy and postpartum periods. Along with personal instruction, handouts will be provided so students can continue their practice at home. Each class costs $15 and can be attended as part of the birthing workshop series or on its own. Contact Five Point at info@fivepointholistic.com with any questions. It is with heavy hearts that we announce the passing of Leah Finch, our beloved fellow owner, friend, and wife of Collin Campbell. Leah died Monday, April 18th after living with cancer for the last three years. A graduate of Brown University and Pacific College of Oriental Medicine, Leah was a founding member-owner of Five Point Holistic Health. She will be remembered as a gentle, patient, and intelligent practitioner, a talented artist and designer, and wise, nurturing friend. She taught us to take pause to acknowledge why we love and appreciate each other even during the most busy and strenuous periods of our lives. Though Leah had not practiced at Five Point since August, her legacy lives on through Five Point’s vision of offering high-quality, accessible holistic healthcare. We are all better practitioners, business owners and people for having known her. We greatly appreciate the outpour of messages filled with love, warm thoughts. and memories of Leah. For those of you who have inquired about ways to show support, her family is raising funds to install a bench in Leah's name at the Indiana dunes, one of her favorite places on Earth. There will be a memorial and celebration of her life at the unveiling on June 20th, 2016. Thank you all for your support and condolences during this difficult time. Beginning March 5th, Nathan Paulus will be teaching a Center Strength and Spinal Alignment yoga class at Five Point. These classes will work on principles of how correct alignment and deep body awareness can reduce outer body tightness, making the body both more strong and supple. 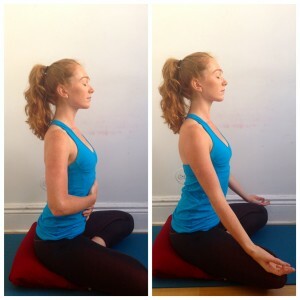 Nathan will focus on refining basic postures to help reduce tightness in the shoulders, back, and hips simultaneously. Reducing this outer body tension allows deeper structures built around abdominal muscles and pelvic floor to begin to function properly on their own. Classes are weekly on Saturdays 4:30-5:45. Appropriate for yoga students of any level. Space is limited, so participants are encouraged to reserve a spot online. Drop-ins are also welcome. Drop-in price is $15/class, but packages of 6 ($80) or 12 ($150) are also available. Please contact us with and questions, and we hope to see you there! Tai Chi is a sequence of gentle, rhythmic movements through 37 postures, flowing one to the next. The practice serves as a way to deepen and refine the quality of body energy and circulation; it helps to develop the emotional self and works to improve focus and concentration of the mind. Tai Chi is one of the true methods of self-development, and as with all the great arts, can work on multiple levels of a person simultaneously. Both classes are taught by Nathan Paulus, Five Point's bodyworker and yoga instructor. For beginners to learn tai chi basic principles, including five loosening exercises, first section of short form and 4 of the 8 fixed push hand patterns. Missed classes can be made up during the next session which restarts every 6 weeks. As a continuation of the beginner series, this class is designed to get students comfortable with the entire short form and eight push hand patterns. Space is limited, so participants are encouraged to reserve a spot online. Please call us with any questions or email Nathan at nathan@fivepointholistic.com. Five Point is excited to introduce Emmy Johnson, the newest member of our psychotherapy team. Emmy is a Licensed Clinical Social Worker and Certified Alcohol and Drug Abuse Counselor with over 8 years of experience. She has worked in a wide variety of settings from homeless shelters to a group private practice. Emmy earned her MSW from the Jane Addams College of Social Work at the University of Illinois at Chicago and completed her clinical internship at Northwestern Memorial Hospital. She specializes in working with individuals struggling with depression, anxiety, addiction, trauma, grief and loss, relationship issues, stress and life transitions. Emmy utilizes a client-centered, eclectic approach to therapy, drawing from both psychodynamic and behavioral theories. She believes you are the expert on your life and views therapy as a collaborative process between the therapist and client. Emmy has a particular interest helping people slow down and figure out ways to more fully engage in the life they are already living by integrating mindfulness when she can. 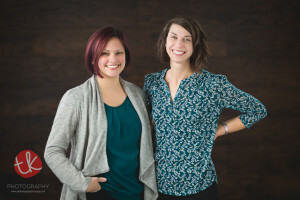 When addressing mental health concerns, Emmy believes it is imperative to acknowledge the mind-body connection, and is excited to join the team at Five Point Holistic Health, where she can collaborate with practitioners of other disciplines to help individuals on their journey to improve both their physical and mental health. Emmy's appointments are bookable online beginning Monday, January 25th. Her current hours are Mondays from 6-9 pm, but she will be adding Wednesdays 5-9 pm beginning February 10th. Her appointments last one hour for $90 and packages or sliding scale based on need are available. You can contact her directly at emmy@fivepointholistic.com. Five Point is participating in Holidays on the Square on Saturday, December 5th. In its fifth year, Holidays on the Square is a multi-location celebration of the winter holidays organized by I AM Logan Square, local business owners and volunteers to encourage local shopping and community building. This Saturday features special events, promotions and activities offered by Logan Square small businesses and NFP organizations including discounts, pop-up shops, trunk shows, holiday movies, food specials, Santa Claus and more. Five Point will be offering gift bags to anyone who buys a gift certificate for $40 or more, and a free community treatment to anyone who buys a gift certificate for $75 or more. We will also be providing warm drinks, snacks, and community acupuncture treatments from 9-3. We hope to see you there, and thanks in advance for shopping local this holiday season! Five Point Holistic Health is seeking a part-time psychotherapist to join our collaborative team. We are a worker-cooperative clinic in the Logan Square neighborhood specializing in acupuncture and Chinese herbal medicine. Our integrative clinic also includes bodywork, chiropractic, and psychotherapy. The month of October celebrates two things we hold near and dear to our hearts: Acupuncture and Co-ops. October is national Co-op Month and October 24th is Acupuncture and Oriental Medicine Day. In order to raise awareness of our medicine and business model, Five Point is providing a day of free community acupuncture treatments on Saturday, October 24th. Free treatments are available for anyone whether you're a new client or a regular. We encourage our clients to spread the word to people in their lives who may benefit from our medicine but have not tried acupuncture before. Appointments are required as walk-ins will not be accepted. Appointments are available between 9 am and 3 pm and can be booked online or by phone. We hope to see you there!